Now that I’ve done two of the major long distance trails in the US, everyone wants to know which one is harder, better, my favorite: the Appalachian Trail or the Pacific Crest Trail? First, let’s examine some of the ways the two are different. Settle in because this is a long one. 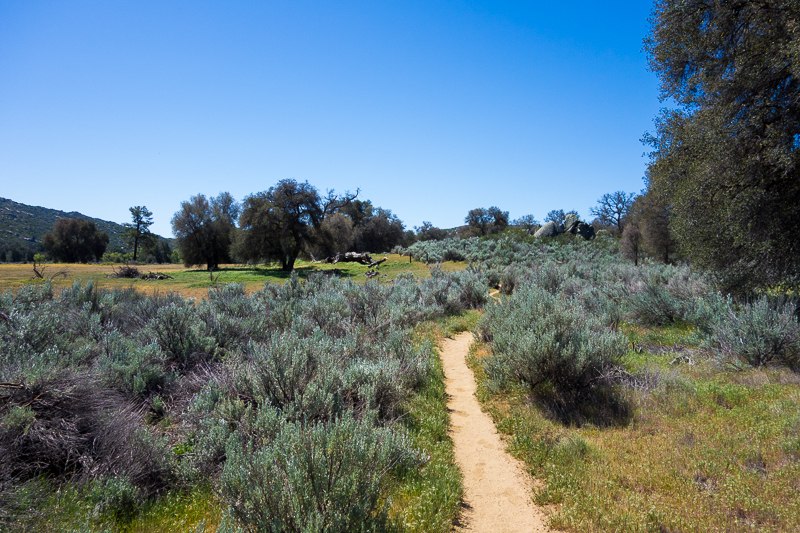 Many people assume that the PCT is the harder of the two trails because it goes so much higher in elevation. The PCT has a highest point of 13,153′ versus the AT’s measly 6,643′. While high altitude itself can pose some difficulties, the truth is that the AT is way steeper than the PCT. 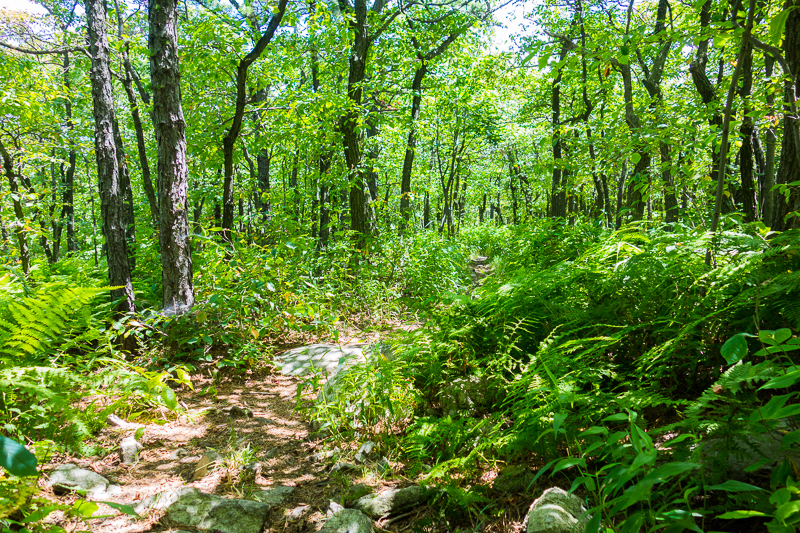 In the AT’s 2,186 miles, there is around 515,000′ of elevation gain. In the PCT’s 2,650 miles, there is only around 315,000′ of gain. Remember, it’s graded for pack animals. That’s an average of 236’/mile versus 119’/mile. The AT has practically double the elevation gain! The PCT may have more miles, but the AT definitely has harder miles. 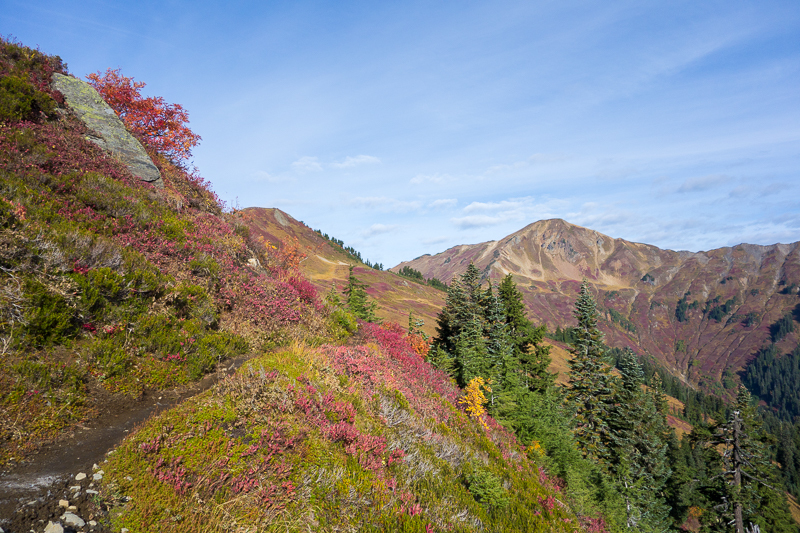 Check out Guthook’s analysis of specific steepest climbs on each trail. The difference in steepness had a huge effect on my body. While on the AT, it was just a fact of life that everyone had hiker hobble constantly. After sleeping all night, after sitting down for a break, basically after being still for more than fifteen minutes in a row, my leg muscles would have stiffened up so much that it would take at least fifteen minutes of walking to work out the kinks. On the other hand, I can barely remember being sore ever on the PCT. There were occasionally some aches and pains, but it was nothing compared to the daily pain of the AT. You know what else is affected by trail grade? Joints. I had knee pain for almost the whole AT, and wore a patellar tendon strap for a lot of it, once I figured out that could help. I did not need to wear that strap at all on the PCT. One day I had about twenty minutes of knee pain, and that scared me into buying another strap to carry just in case, but I never actually needed to use it. In addition to the steepness, the AT generally has more rugged terrain. The trail tread on the majority of the PCT was smooth and clear. Sure, there were a few miles of rocks or roots here and there, but that is the rule on the AT and not the exception. For much of the PCT, I easily hiked at a steady 3mph pace. I really only reached that regularly on the flatter Mid Atlantic states of the AT. There were so many roots and rocks in the path that I could never keep a steady pace going for long because each step had to be carefully placed. 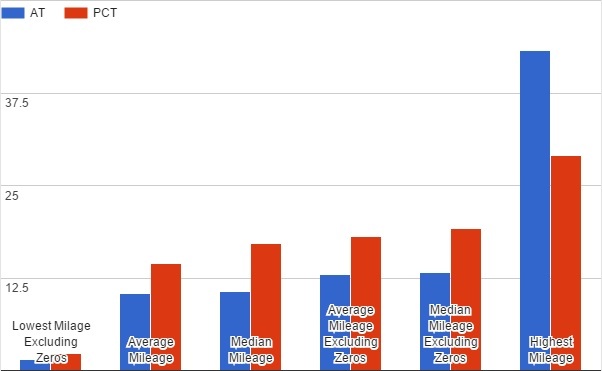 Compare my median mileage of 19.2 miles/day on the PCT to only 13.3 miles/day on the AT. The only way I can think of that the PCT can be physically harder is dealing with high altitude in some sections. 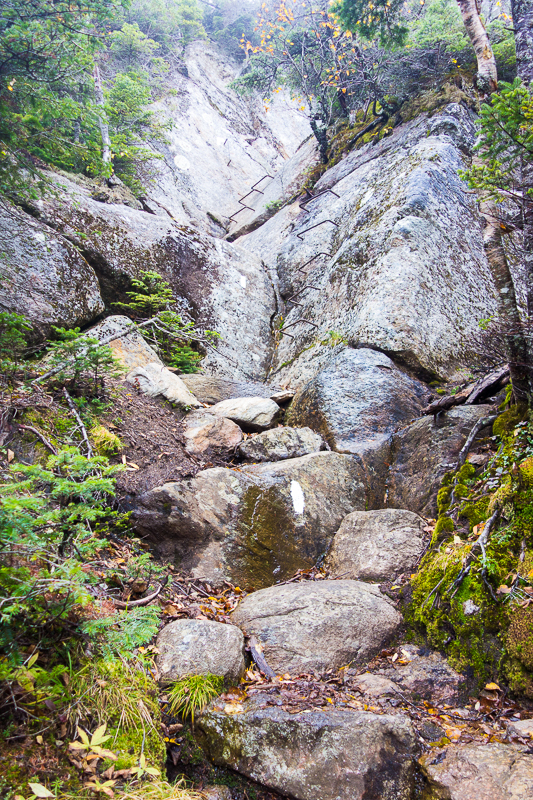 When I first hiked above 8,000′ on the trail, it was such a gradual climb that I had no issues acclimatizing. Even after getting up to 10,000′ and higher in the Sierra, I didn’t have any headaches and still felt like I was breathing normally. However, halfway through the Sierra, I dropped way lower to go to town, and then I stayed there for three days. Getting back on the trail after that and quickly returning to higher elevations did not agree with me, and it took several days before I could catch my breath easily again. High altitude can affect even the same person differently every time. There were a few visible ways that my body showed the difficulty differences of the two trails. On the AT, I lost twenty pounds, and my leg muscles were very well defined. On the PCT, I lost about ten pounds, but gained most of it back (thanks, butter! ), and sadly, my leg muscles were not as spectacular. 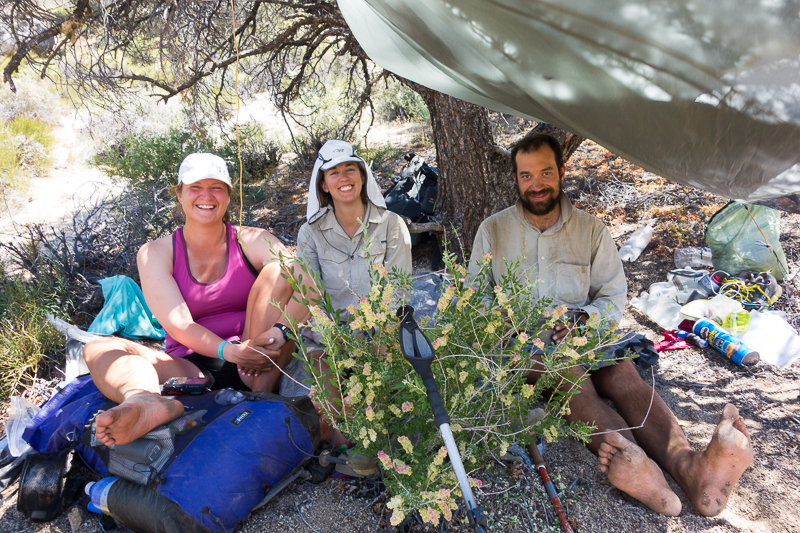 While the AT is physically harder, the PCT is logistically harder. Towns are less frequent so I had to carry more food. Towns are also farther from the road crossings so I sometimes hitched up to forty miles to get there. On the AT, towns usually seemed to be within a few miles of the trail, easily walkable if needed (although of course I never walked if I could hitch, which was always). I also never once sent myself a resupply package on the AT. On the PCT, maildrops were necessary in some areas because there were no stores at all. 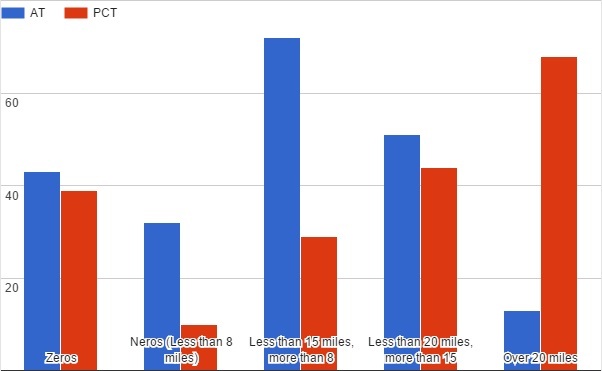 Water is less frequent on most of the PCT than on the AT. I almost always carried two liters of water on the AT, because that’s how many water bottles I had and I just automatically filled them up. I could have carried half a liter and been fine most of the time since stream crossings are so numerous. On the PCT, water varied by section and time of year, but I would say ten to twenty miles was an average carry, except in the Sierra where water is more frequent. At one point in the desert, there was a potential forty two mile dry stretch. I carried six liters of water, at 2.2 pounds/liter, and still would have been thirsty if it wasn’t for a water cache in the middle. The cost of food was way higher on the west coast, and I had the added cost of shipping myself packages from the east coast sometimes. Many of the towns the PCT went through were really resorts, so cost of getting a room was higher also. However, with the frequency and proximity of towns on the AT, I stayed in town way more often. I would say I spent the same amount of money on both trails, although it was more towards necessities on the PCT and included a lot of fun extras on the AT. On the AT, most northbound hikers start sometime in mid March to mid April, and finish sometime around September. This limits the cold weather on either end, but it’s perfectly possible to hike on the AT all year long. Many people have hiked it in the winter. On the PCT, most northbound hikers start at the end of April, and finish by the end of September. Start any earlier and you could arrive in the Sierra before the snow starts melting. Start any later, and you risk early snow in the Cascades in Northern Washington. 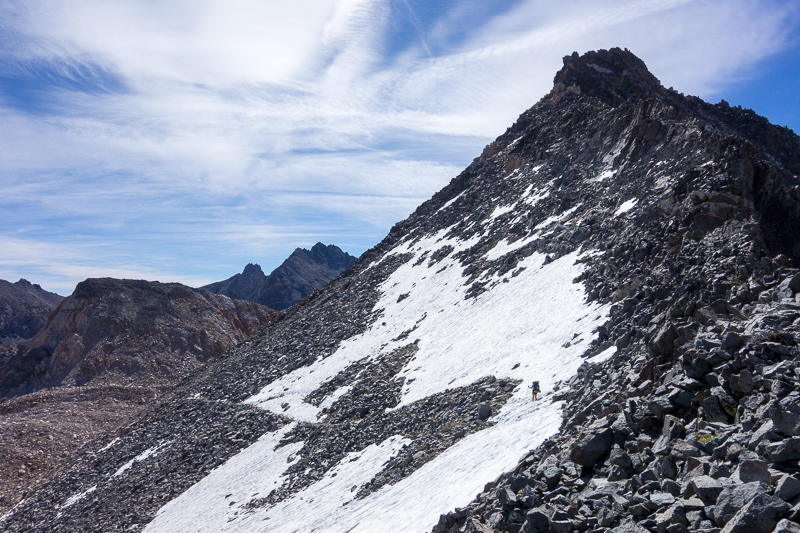 It’s a much tighter weather window (depending on that year’s weather, of course), and the first winter thru hike of the PCT happened just last winter, requiring a lot of specialized experience and skill. That said, 2015 was a drought year following several other drought years. I barely had to cross any snow in the Sierra, and I entered it early compared to a normal snow year. But I also got snowed on in March and April of 2013 on the AT. Both trails get snow during the thru hiking season. The PCT just usually has a lot more of it, requiring some extra gear and navigation skills when the passes are covered in snow. I experienced heat on both trails as well, although for a much longer time period on the PCT. The AT is mostly shaded so that limits the heat to the appropriate time of year (July, in my case). The PCT is mostly exposed so the sun brings the heat throughout the hike. Starting in the desert, it was all sun, all the time. I carried a reflective umbrella and would usually have it up by 8am. I also had to waste many daylight hours taking a siesta. In some sections, I would find a shady tree to rest under from noon until 3pm. In some sections, I needed to stop from 10am until 5pm. I’m told this year was not as hot as normal, but you couldn’t prove it by me! Waking up at 4am to get some miles in before it gets too hot is not my idea of a good time. One distinction between the trails is humidity. The PCT has little to no humidity. The AT has constant, full humidity. In addition to making me feel grimier, my sweaty clothes never dried, and I stank. On the PCT, my clothes had an opportunity to dry whenever I took a break, and I did not smell nearly as bad. It was wonderful. Before I hiked the PCT, I was told that it never rained there. False! It rained 35 out of 190 days, or 18.4% of the time. It even rained in the desert, and it snowed on my friends unlucky enough to be in high desert at the time. On the AT, it rained 63 out of 211 days, or 29.9% of the time. These numbers may not be exactly accurate as I went back and pulled the info from my blog. I may not have always mentioned every precipitation event though. I feel like the AT number is a bit low actually. There were water crossings on both trails, although I was lucky enough that none of them were difficult when I got there. On the AT, I got to all the crossings in Maine a month later than most hikers, so the water had gone down. 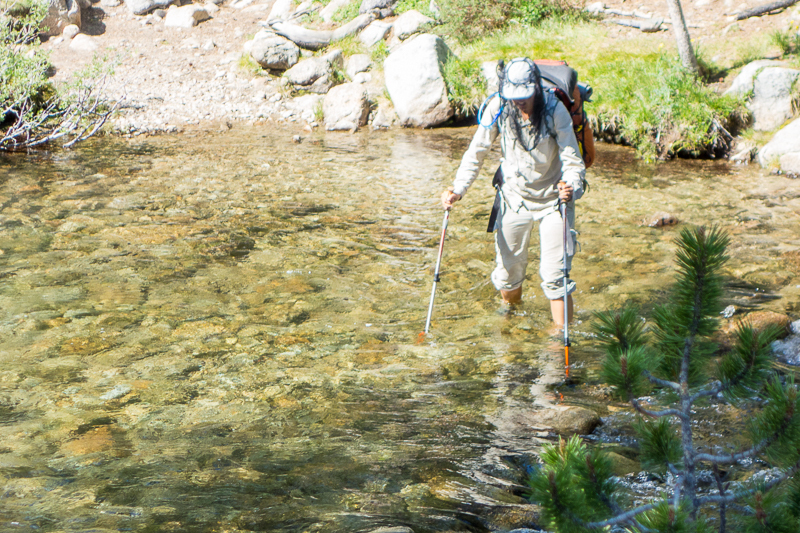 On the PCT, it was a drought year, and there wasn’t enough snow melt in the Sierra to really get the streams going. The normally difficult crossings were easy as pie. There were only a few that couldn’t be rock hopped, and the water never went higher than mid thigh. I switched out some of my gear on the AT depending on the time of year. I had a 15° sleeping bag in the beginning, switched to a 38° quilt for the summer, and went back to the 15° bag for the fall. I also switched from pants and warmer tops to shorts and cooler tops, and back again. On the PCT, I used the same 10° quilt the whole time. It was cold at night no matter where I was when. I also kept warm clothes with me the whole time for the same reason. I did switch from shorts to capris at the very end, but I would have been fine with the clothes I was already carrying. The Appalachian Trail has been seeing crowds of people for longer than the Pacific Crest Trail, but the PCT is catching up. 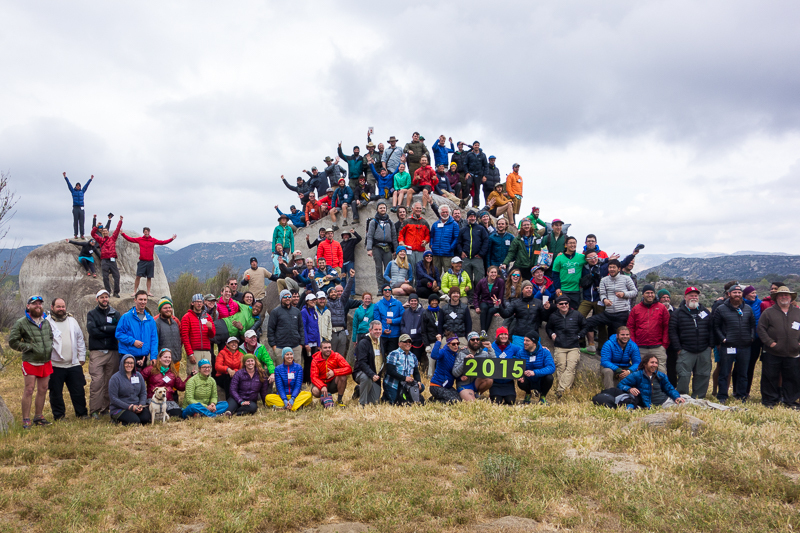 Both trail’s organizations are reporting more and more thru hikers every year. 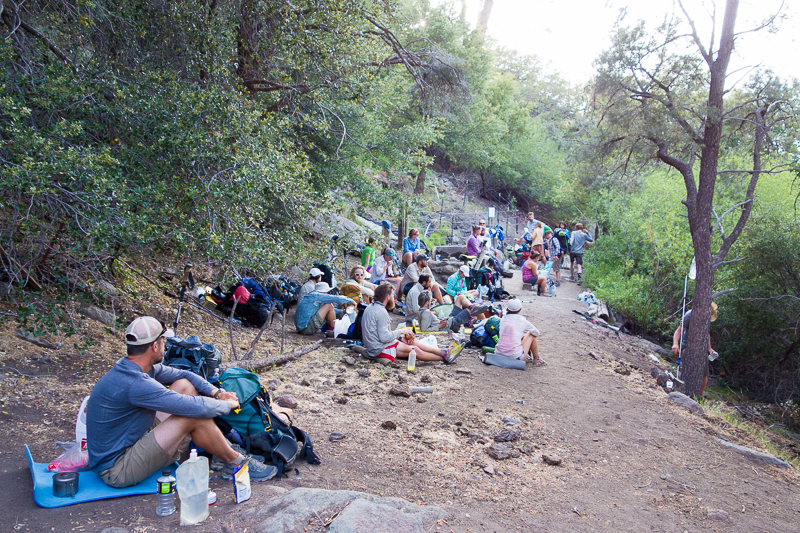 That said, I was around a lot more people on the AT than on the PCT. That could be because hikers tend to bunch up more when there are shelters every ten miles and towns every couple of days on the AT, but really no set places to congregate on the PCT. This is good or bad depending on the experience you’re looking for. It’s definitely easier to be alone on the PCT, but it can also be just as social as the AT if you want it to be. Because the AT has been seeing higher numbers of hikers for longer, there is more support in place for those hikers. 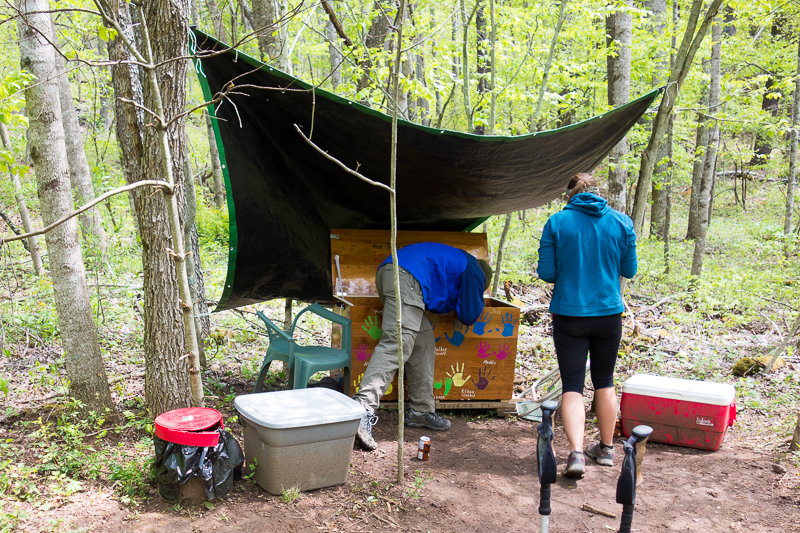 Towns have many hiker services, trail angels are plentiful, and trail magic is frequent. Most people you run into in town know about hikers and how much business we bring to their community. People in towns near the PCT are less likely to know what the heck we’re doing. The number of people so close together on the AT actually affected my health. I had colds all throughout the trail. I’m sure it was because I stayed in shelters and hiker hostels so often. I did not have a cold even once on the PCT. I felt healthier the entire time. The PCT is exposed a lot of the time, and does go much higher, so many people prefer it for the generally constant views. The AT is shaded most of the time, and rarely gets above tree level, so you are generally looking at trees. There are frequently viewpoints though, and it does get above tree level in New Hampshire quite a bit. On the other hand, the PCT stays in trees for large sections also. I’m looking at you, Oregon. Personally, I enjoyed both types of scenery. Okay, okay. 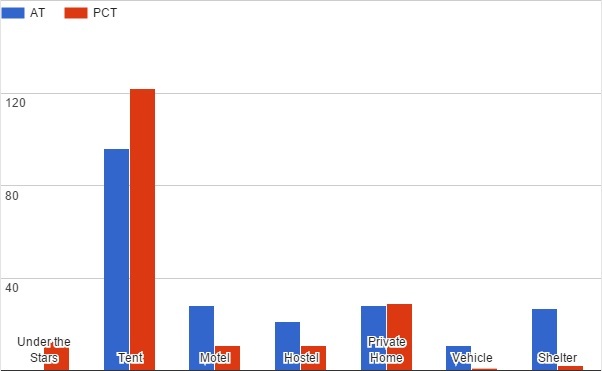 We’ve seen how the two trails compare. But which is the winner? Neither. I loved both trails, but the setting is less important than the act of thru hiking. The aspects of thru hiking that I love are the same anywhere: Wondrous nature. Physical challenge. Minimalist living. Camaraderie. Fun. Adventure. Thinking about it now, I want to get right back out there. I saw a similar number of black bears and rattlesnakes on both trails. Lots of deer on the AT. Some deer and some elk on the PCT. More lizards on the PCT. Love this post! I used to have all these preconceived notions about the PCT and the more I learn, I realize how wrong I was. And, I used to be anti-PCT, but now I can’t wait to do it! Love your conclusion, too. Couldn’t agree more. You didn’t rank scenery. Any thoughts on that? Nice read. Thanks. A lot of people like the scenery on the PCT better because it’s mostly exposed and there are great views from up high. The AT is usually in trees, but I happen to like trees, so I loved the scenery on the AT as well. I just added a scenery section. Hmmmm better tread, nicer views and drier weather… Think I’ll stick to the Pct! I just added a section on rain that I forgot. It’s not that much drier! This was a great post! Loved the charts/graphs – you are a definitely a nerd! Such an interesting website. Thank you for all your hard work assembling it. Emily, my wife, and I remember you so well. You and 3 other hikers stayed with us at our home in Robbinsville, NC a few years ago. We were so delighted to listen to your Trails Tales! We still follow your blog from time to time and wish you good health and great happiness. Jim & Emily Allen, near Steoah Gap in Robbinsville, NC.